Category Archives for "ICO Reviews"
SafeCrypt ICO Review: Is SafeCrypt (SFC) a Good Investment? If you have been looking for a comprehensive SafeCrypt ICO Review, you have come to the right place! In this article, I will be reviewing this interesting cryptocurrency. I will answer all your questions and eventually evaluate the question, “Is SafeCrypt (SFC) a Good Investment?” I am 100% sure that you will find this review helpful and valuable. SafeCrypt Presale and ICO Are Going on Now in 2018. You Can Click the Image to Participate And Get Bonuses. Project Started: Early Developments in 2016. ICO in 2018. Short Review: SafeCrypt is one of the most promising ICOs that I have seen for a while. They are entering the market that has a potential to provide huge profits. I have invested in their ICO and I keep on following with the excitement how big profits this will generate. That being said, I always want to remind that investing in cryptocurrencies involves risk. 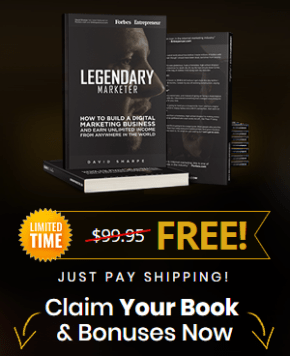 If you don’t want to take any risks, just follow my #1 recommendation for making money online. In order to give you a more comprehensive picture of the SafeCrypt ICO, I also created a YouTube video where I explain the key details. You can take a look at it below and I am sure you will find it helpful. SafeCrypt is building a cryptocurrency exchange that is aiming to solve a huge challenge in the industry: Safety. Cryptocurrency exchanges are one of the fastest growing industries in the world right now. 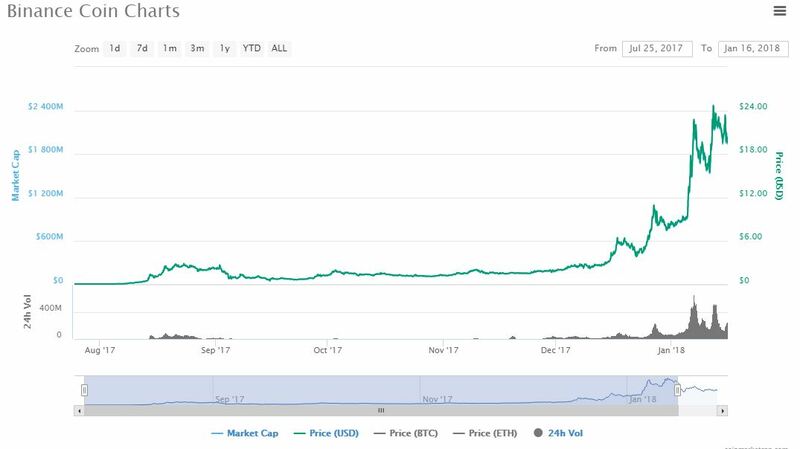 The cryptocurrency market capitalization has grown dramatically and so many new people have been flowing in which has made also huge profits for crypto exchanges. However, all crypto exchanges haven’t been so safe and there have been numerous hacks over the years. Almost all of the SafeCrypt members have lost their money because of the hacks in the exchanges. One of their programmers has actually lost 125.7 BTC when the MT.Gox was hacked in 2014. Nowadays it would be worth more than $1 million. I, personally, have been lucky because my funds have never been stolen but I have friends who have lost money when their money was in the exchanges. SafeCrypt wants to provide the best solution for this safety problem. If it will even partially succeed, this will make huge profits for early investors. Almost Immediate Transactions. It takes only 24 seconds to receive the desired crypto assets. Large selection of crypto assets. At the moment, there are 44 cryptocurrencies available but the number will grow into hundreds in the near future. Risk-free cryptocurrency exchange. SafeCrypt is fail-safe by design. Investors have control over their own assets. Absolute anonymity for users. They use Cascade data encrypting which ensures the highest security possible. User-Friendly Design. They provide easy-to-use multifunctional user platform. The picture below is taken from their whitepaper and it explains how the exchange is going to work. I know that it can feel a bit technical and overwhelming. That’s why I recommend taking a closer look at their whitepaper. SafeCrypt public pre-sale has started today 26.3.2018 and I have invested there right away. Early investors receive nice bonuses for this ICO. Sometimes people overlook the significance of ICO bonuses. Let’s say for example that you invest $2,000 in the SafeCrypt ICO and get 10% bonus. That’s $200 right away for free. Even if the token wouldn’t make any gains when it hits the exchange, you have still earned $200. Actually, SafeCrypt provides even better bonuses than 10% for early investors. Read more details on their website and join their Telegram group. If you invest in a “group”, you can get even 50% bonuses. You don’t need to know those people personally in order to participate in a group. You just put the same code that they put and you receive the bonuses. 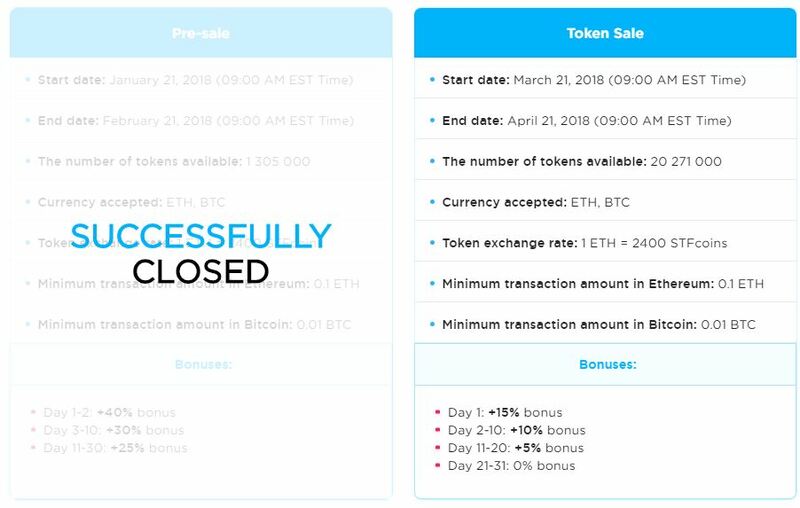 I found a group of Telegram and received 45% bonus during the pre-sale. As you can see in the screenshot above that’s taken from their whitepaper, you can participate in the ICO using 44 different cryptocurrencies. When their exchange will be eventually built, there will be even hundreds of available cryptocurrencies but 44 is already a great start. Most of the tokens (70%) are issued during the pre-sale and crowdsale phases. Some of the tokens will be later bought back to the company providing profits for the investors. I will explain this buyback program more in detail further in this article. 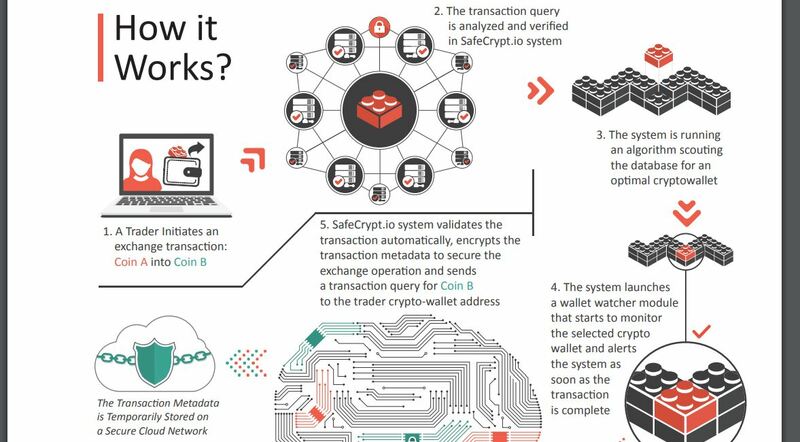 The SafCcrypt project has started already in 2016. You can find all the details on their website and whitepaper. That’s also the first time when they received funding for their project and formed the core team. The problem in the market was obvious already back then. Cryptocurrency exchanges were hacked sometimes and users lost some money. That’s why SafeCrypt wanted to provide a better solution, a safe crypto exchange, for that problem. SafeCrypt Roadmap for the Near Future. As you can see in the picture, many events will be happening soon with their project. At the moment, we are still at the end of Q2 2018 and their pre-sale of tokens has started. Those who invest early in great projects make the biggest profits. When big masses have invested, it’s impossible to make huge profits anymore. Let me explain more in the next chapter. Is SafeCrypt (SFC) a Good Investment? As I explained above, cryptocurrency exchanges have been extremely profitable businesses recently. They haven’t been only profitable for the founders but also for those who have invested in them. Have you heard, for example, of two major cryptocurrency exchanges called Binance and Kucoin? Both of them are relatively new companies but they have grown extremely fast. In addition, they have issued tokens that play a function within their exchange. If the exchange does well, token holders benefit. Those tokens can be exchanged like any other cryptocurrencies. Let me just show you what kind of profits Kucoin Shares and Binance Coin holders received in 2017. Binance Coin literally exploded. 200 times gain in 5 months in 2017. The price of Kucoin Shares went from $0,60 to more than $20 in 2 months. That’s +33X profits! 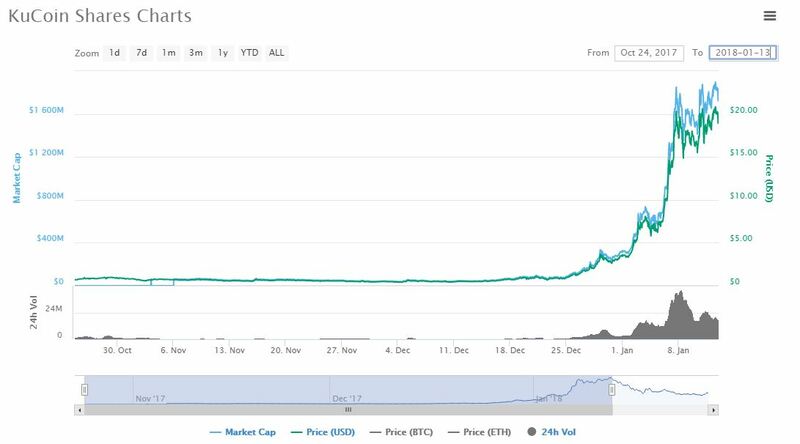 Can you imagine what kind of gains those crypto tokens made in just a few months? If you would have invested in Bankera coin just a measly $1,000, you would be $200,000 richer now (supposed that you sold them in dollars). Imagine if SafeCrypt makes even a little bit similar gains like Kucoin and Binance tokens? Even though they wouldn’t achieve similar success stories like Kucoin and Binance, they still have a huge potential to grow. Big profits within a relatively short period of time are completely possible. Actually, SafeCrypt feels almost even as good as Bankera ICO that gained huge popularity a little while ago. They raised around $150,000,000 during their ICO. The time will show how much SafeCrypt is able to raise but I believe that the amount will be quite significant. SafeCrypt is going to purchase some of the tokens back providing nice profits for early investors. SafeCrypt team member explained me the idea of the repurchase program more in detail. He points out that SafeCrypt is going to buy back the tokens with the money that they generate from the exchange. It’s a multi-billion dollar market and even if SafeCrypt would partially fail, they would still make big money. With a pessimistic prediction of market share of just 0.9% SafeCrypt.io will be able to generate $43000 daily on fees. That’s why Mike Novogratz probably says that cryptocurrency exchanges are literally “printing money”. Buyback program is actually commonly used with cryptocurrencies. For example, Binance and Sharpay use the similar system as well. SafeCrypt Reviews – Blockchain Experts Praise This Project! SafeCrypt ico review on ICOBench. It’s one of the highest-rated ICOs there with an average rating 4,7 out of 5. ICOBench is only one example because ICOHolder.com and many other people have given it a great rating. Even though you always need to take such reviews with a grain of salt, it still gives you a slight indicator whether or not this project has any potential. When it comes to SafeCrypt, we can see that it has a great potential. Conclusion – Is SafeCrypt ICO Worth Investing? In my opinion, yes it is. 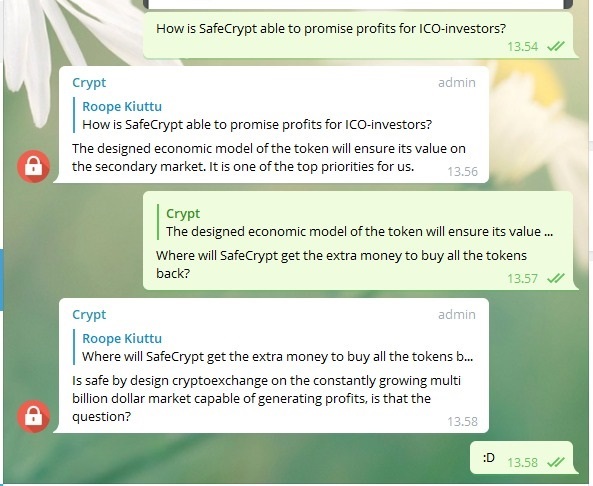 That’s why I have invested in SafeCrypt ICO. I see that it has huge potential for growing and providing profits for initial investors. The past has shown that those who invested early in the cryptocurrency exchange tokens have made huge profits. Of course, there are risks and anything can happen along the way but in my opinion the rewards outweigh the risks in this case. What do you think about SafeCrypt? Are you going to invest in their ICO? StopTheFakes ICO Review: A Project With a Wonderful Purpose! If you have been looking for a comprehensive StopTheFakes ICO Review, you have come to the right place! In this article, I will explain everything you need to know on their ICO. I will also analyze whether or not this would be a good investment opportunity for you and me. If you have any questions/thoughts/comments, feel free to let me know below and I will be more than happy to answer you personally. StopTheFakes Homepage. Click the Picture to Get 15% Bonus During Their ICO! Short Review: StopTheFakes has a unique idea on how to stop the counterfeits. This project is certainly trying to make the world a better place and I want to support that. STF also has a strong team and I believe they are going to deliver great results. I am going to invest in the StopTheFakes ICO myself also because they provide bonuses for early investors. 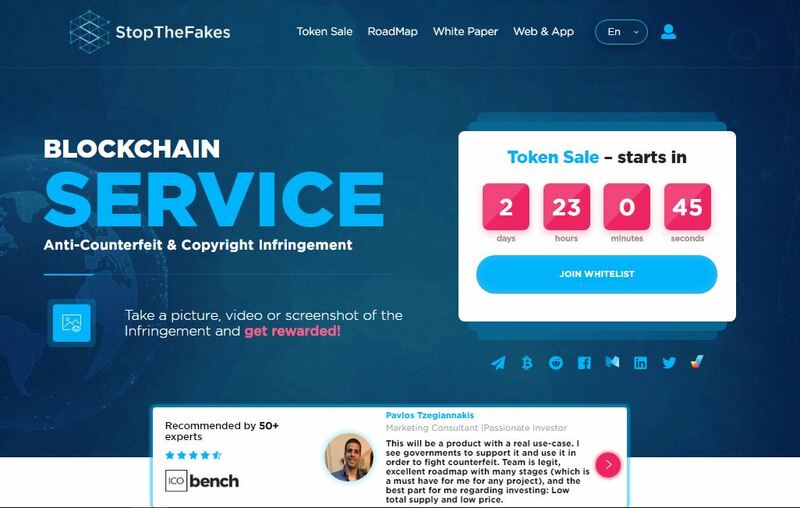 StopTheFakes is a decentralized service to securing your intellectual property. It will find counterfeits and infringement and stop them effectively. At the moment, numerous industries are suffering from counterfeits and entrepreneurs/producers are losing billions of dollars. Have you ever confronted fake or counterfeit products? Counterfeits may seem innocent because they are usually cheaper than original products but they set a significant challenge for these industries. Entrepreneurs and companies are using millions of dollars for marketing their own brand. Then if somebody steals their brand, the company loses tons of money. Some companies may even stop their operations because of the counterfeit. Therefore, StopTheFakes comes to solve a real need. Other great and extremely interesting ICOs that I have recently been following are LanceChain, Friendz and Bankera. StopTheFakes works as an application that works with a mobile device and also with PC. Click the picture to try StopTheFakes application right away on their website. 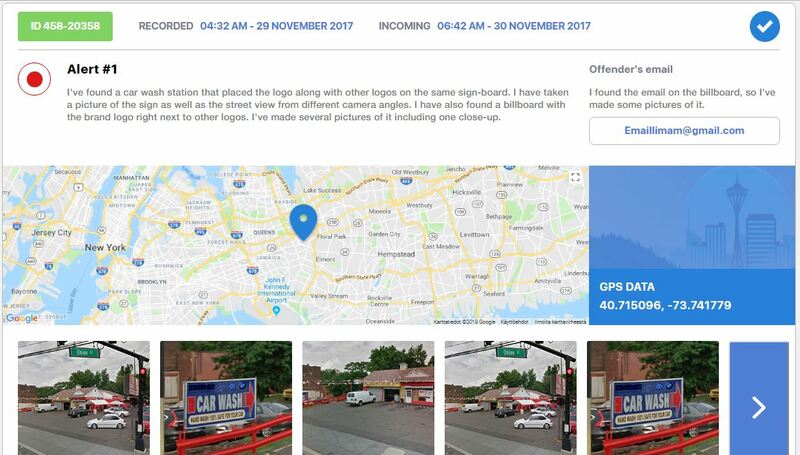 A company requests for investigation through StopTheFakes application. App users take pictures and send details for counterfeits. The company pays rewards for users who helped them. The company can take action against the counterfeits. You can already try on their website right away how the StopTheFakes application works. An example of how StopTheFakes application works. Users of the StopTheFakes application will earn a pre-determined amount of STF tokens for submitting tasks. After reviewing more than 400 make money online opportunities, I have realized that millions of people worldwide are willing to accomplish this kind of tasks to earn little money. Early investors will still have a chance for 5-15% token bonuses. They may not sound like huge but let’s consider twice. Let’s say that you invest $2,000 in this ICO. 10% bonus would immediately make you $200 “free money”. Many people don’t earn $200 even in a day or some people don’t earn it in a week and now they can get such bonuses just by investing early. STF is a utility token. As I explained above, tokens will be used as a payment form in the platform. One interesting to notice is that the hard cap of the StopTheFakes ICO is only $8,5 million. It means that there’s a great potential for growth when the token hits the exchanges. StopTheFakes has an ambitious and a great roadmap on their website. Every single month new developments and steps to forward will come. It seems much better than many other cryptocurrency projects that have been pretty stagnant because of a “lazy” team. StopTheFakes project moves forward like a train. At the moment (March 2018), there are 21 members in the team (12 members + 9 advisors). Most of the team members are from Russia and Czech Republic but they have also advisors from Spain and the United States. StopTheFakes Leaders Are Mikhail Krzhanovsky, Igor Salikov, Aleksandr Suvoro and Dmitry Kostachev. In my opinion, they have enough breadth for delivering the product and results that they are promising. It’s always good to take a look at what other people are saying about specific cryptocurrency projects before you put lots of money in. That will save you lots of money. And not only save but it’ll also help you to earn more money when you know the trends. Many people would have saved last year thousands of dollars just by checking out my review of BitConnect where I warned people from falling into that scam. ICOBench: 4,4 stars out of 5 based on 49 reviews. ICOTokennews: 4,4 stars out of 5 based on 28 votes. ICOHolder: 4,24 stars out of 5 on average. The numbers look quite great, huh? That’s a positive thing of course. I rather want to see this kind of numbers than 2-3 stars out of 5. There are also way too many scams in the ICO world but gladly StopTheFakes is not one of them. On the other hand, when you are reading the reviews, you always need to take them with a little bit of a grain of salt. Many people who give those reviews have often invested in the specific cryptocurrency themselves. Of course, they give positive reviews because they want that the price will go up. The other thing that you need to keep in mind that some reviews may be sponsored or the creators earn money from their affiliate links. For example, ICOBench earns money from anyone who visits their sites and participates any ICO through their link. So, they certainly have a financial incentive to promote all ICOs. That being said, StopTheFakes reviews are better than other ones on average and people really believe in this project. Conclusion – Is StopTheFakes a Good Investment? I am going to participate in the StopTheFakes ICO. I hope that I would have found this project earlier so I could have invested during their pre-ICO stage. However, even though I missed that change I can still participate in their real ICO and get bonuses up to 15%. The hard cap is so small compared to a moderately high demand that I believe that the price will significantly rise when STF hits the exchanges. A great thing is also that the team doesn’t raise more funds than they really need. In my opinion, it’s a positive sign from the team. => Visit the StopTheFakes Website Here! Like as always, I want to remind that investing in StopTheFakes and any other cryptocurrency involves risks. You may make lots of money within a short period of time but that’s not guaranteed. I have seen many people who have also lost money with cryptocurrencies. That’s why I always recommend you to be careful and not investing money that you would need in your everyday life. If you prefer more secure and guaranteed ways to make money online, I advise having a look at my #1 recommendation. What do you think about StopTheFakes?